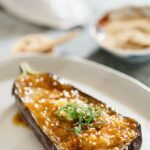 This is Chopstick Chronicles’ Ultimate Sushi Guide for Japanese food lovers and the round up of Chopstick Chronicles’ sushi recipe. What exactly is sushi? Sushi means rice seasoned with sweetened vinegar. 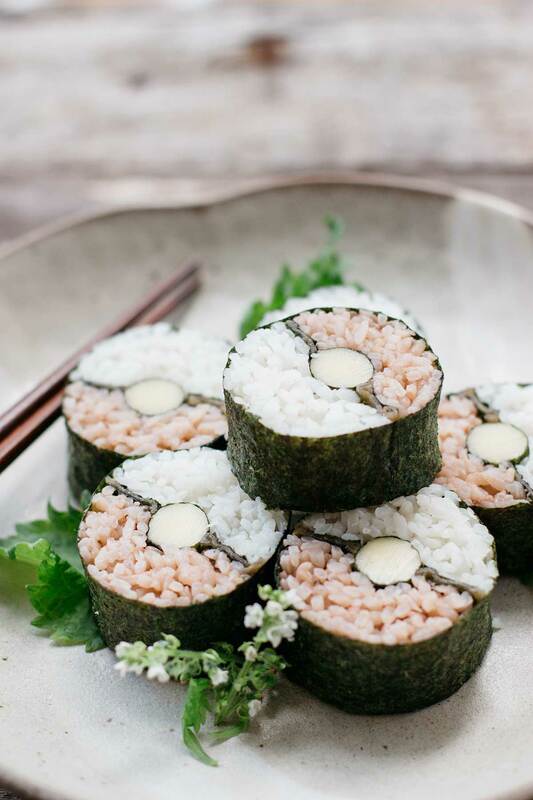 Many people seem to be confused about sushi and rice balls because both have rice and seaweed. For example, onigirazu is gaining popularity now and I see a lot of them in social media, such as Pinterest. When I read the description of it, some are translating it as a sushi sandwich but when you look at the ingredients, the rice is not seasoned with sweetened rice vinegar. So it should be called just rice sandwich. There are a variety of sushi forms and I will explain it next. 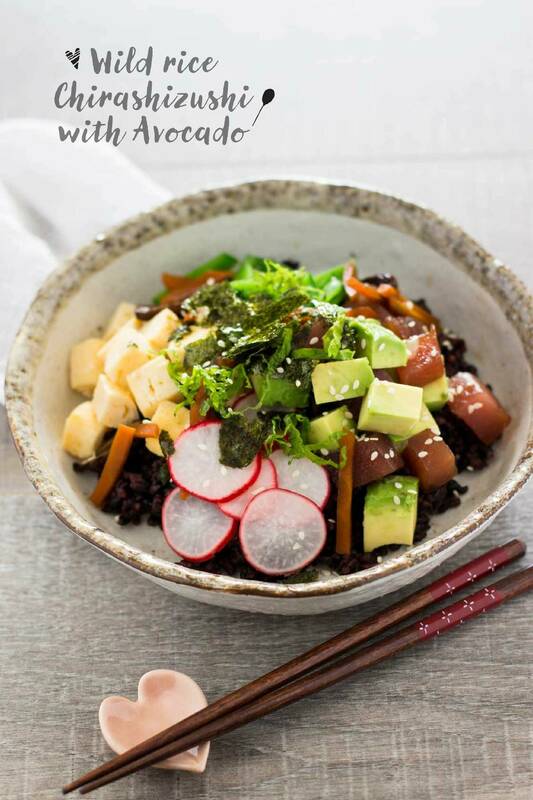 Read here if you would like to make perfect sushi rice. Types of Sushi Sushi comes in many different forms. 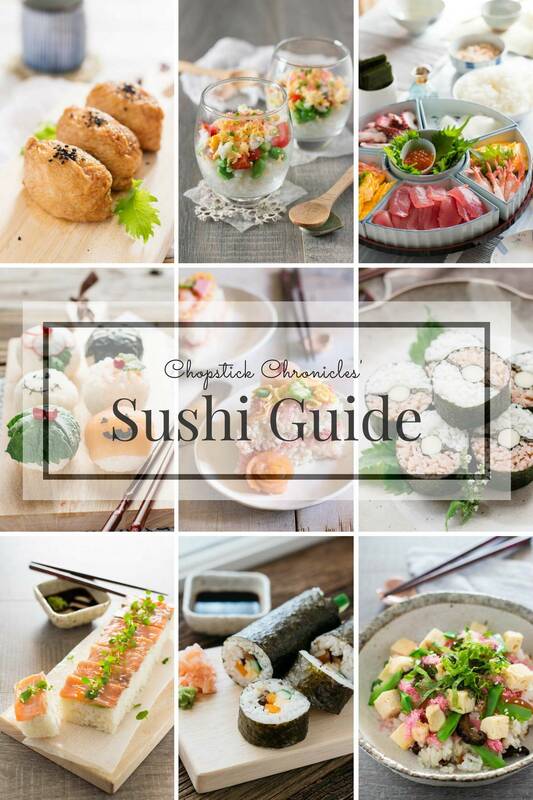 In Chopstick Chronicles, I covered almost all except Nigiri zushi. The word sushi sound becomes a z sound when it is used as a suffix. 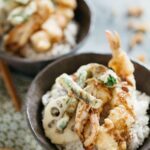 If you are interested in Japanese food terms, read here. 1. Makizushi : Maki means roll, therefore makizushi is rolled sushi. This is the most well known type of sushi and the fillings can vary. Common fillings are simmered shiitake mushrooms, kanpyou, carrots, cucumbers, and atsuyakitamago(rolled egg). There are a lot of sushi take away shops in Brisbane. I see a lot of deep fried food rolled in sushi but this is not common in Japan. You only see those deep fried variations and chicken fillings outside of Japan. Having said that though, I like the teriyaki chicken fillings. There are some variations; Futomaki and Hosomaki. Futomaki is thick rolled. A whole nori sheet is used to roll a sushi. Hosomaki is thin rolled. 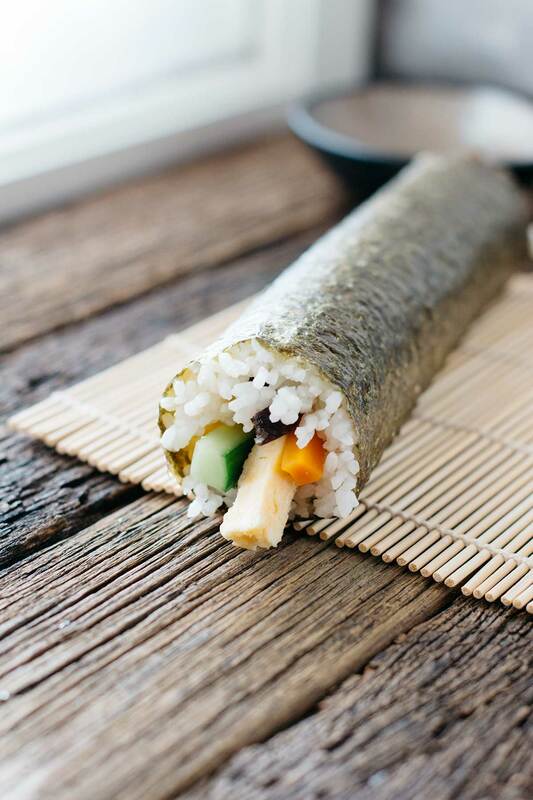 A half of a nori sheet is used to roll this sushi and usually just one type of filling. 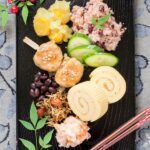 Cucumber filled hosomaki is called Kappa maki, Pickled Daikon filled hosomaki is Shinko maki, and Sashimi tuna filled hosomaki is called Tekka maki. 2. Chirashizushi : Chirashi means scatter. Sushi is prepared and mixed with finely chopped shiitake mushrooms, carrots and koyadofu simmered in sweet soy sauce base. 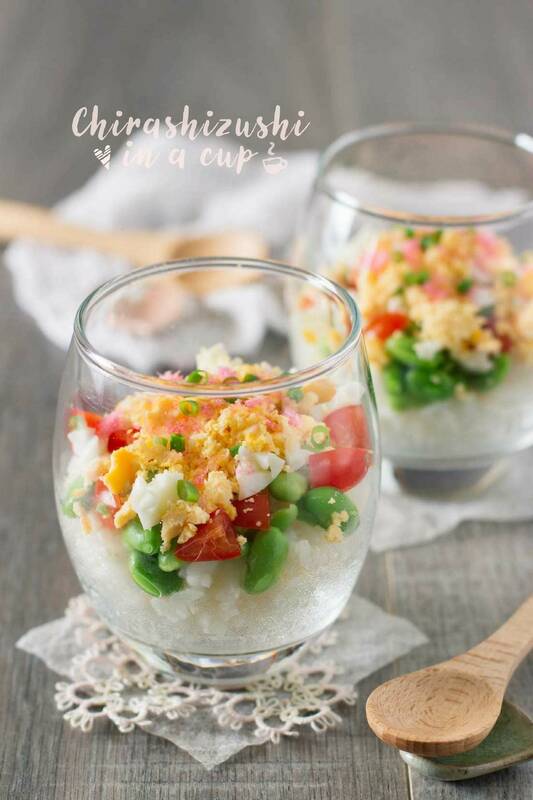 Then other ingredients such as cooked eggs, sugar snap peas, and sakura denbu (which is cooked and finely flaked fish coloured in light pink resembles the colour of cherry blossoms) scattered over the sushi rice. Variety of seafood scattered chirashizushi is specifically called “Kaisenzushi”. 3. Oshizushi : Oshi means pressed. A mould is usually used to make this sushi. Sushi rice and toppings, usually cured fish with vinegar, are placed in a mould and pressed. This is easier to make than rolled sushi using a rolling mat. 5. 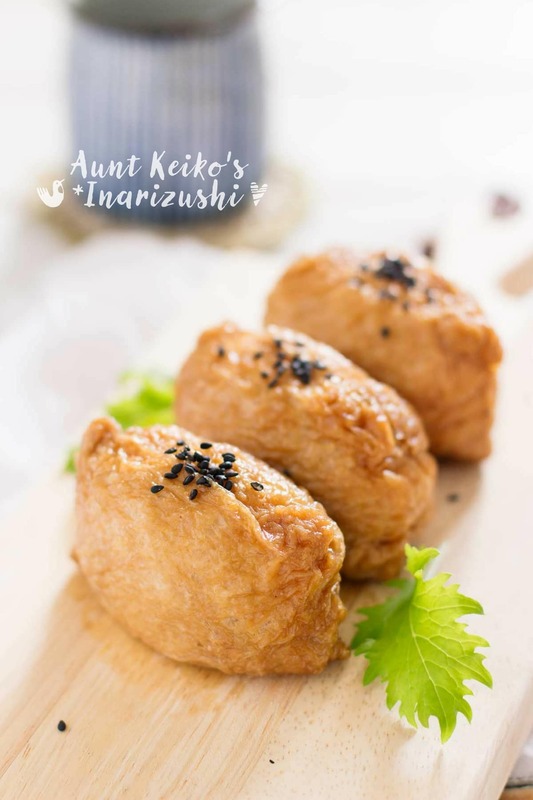 Inarizushi : Inari is aburaage (deep fried thin bean card) sushi. Inarizushi are round cylinder shaped sushi balls inserted in an aburaage pouch. 6. 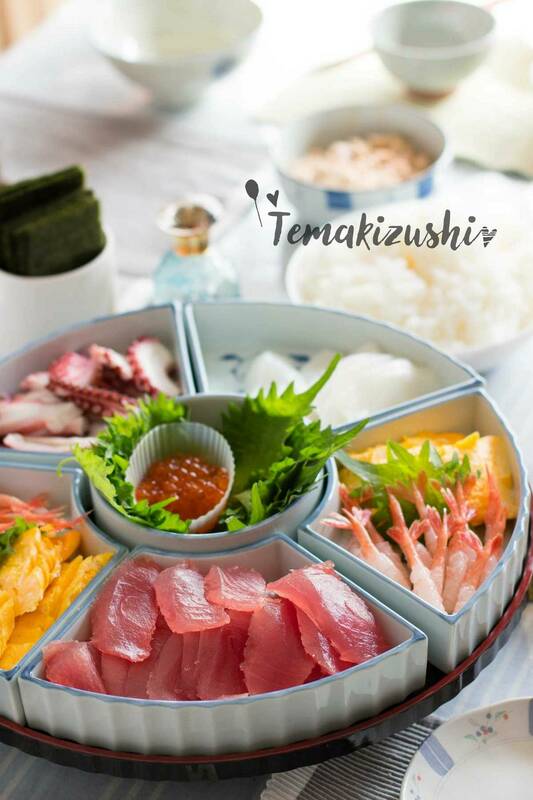 Temakizushi : Temaki means hand roll. This sushi is hand rolled sushi. Sushi rice is prepared and served in a large wooden tub called “sushi oke”. Seaweed nori sheets are cut smaller than normal square sized one. I usually cut them into 6 small sizes. The toppings are served on plates separate from the sushi rice and you make your own hand roll sushi at the table. Because the way it is served, this is often prepared at family gatherings and parties. 7. Kazarizushi : Kazari means decorated. When the sushi is rolled, the fillings are placed in a certain way so that when it is sliced, a picture of animals, characters etc, appears. I made one to look like Pokemon balls. I learnt how to do this from my friend Satomi who runs Sushi Art Surrey near London, UK. 8. Cupzushi : This is Chirashizushi served in cups. It is a popular way to serve chirashizushi nowadays for any parties or special occasions. It looks pretty and tastes delicious. 9. 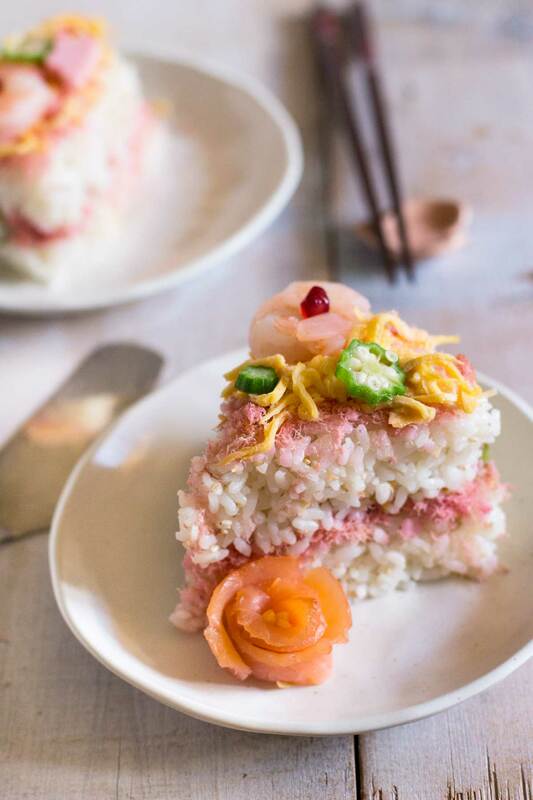 Sushi Cake : Sushi cake is another popular way to serve sushi. It is between Chirashizushi and Oshizushi. 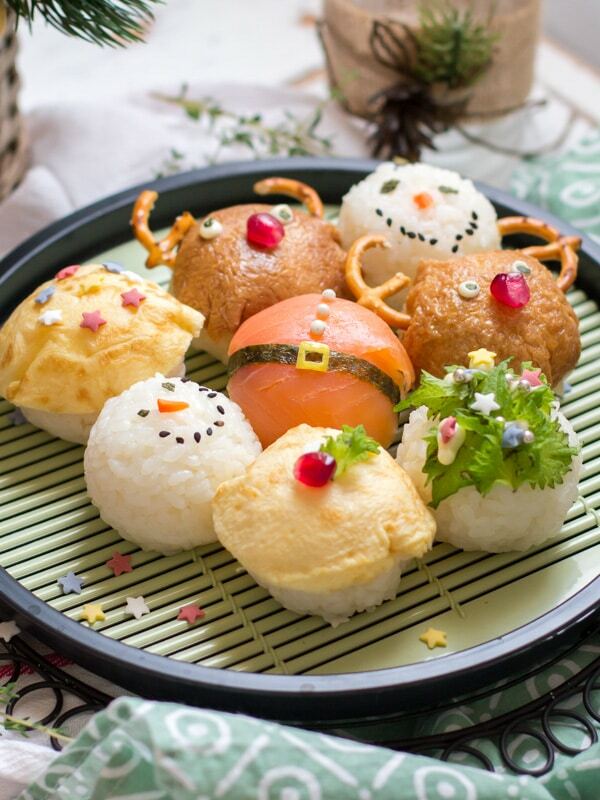 Use a mould to shape the sushi rice like a cake, then scatter the toppings or place to resemble a decorated cake. 10. Nigirizushi : Nigiri means grips. A bite sized sushi rice is gripped and shaped then topped with fresh sea food like tuna sashimi. It is said that to become a sushi chef, it takes more than 10 years of training, practice and experience. I don’t even try to make nigirizushi at home and this is not common type of home cooking sushi. I (and most Japanese) would rather go to a sushi restaurant and eat professionally prepared nigirizushi. Gorgeous photos. If only we could get better sushi in China. Oh! I’ve learned so much with this guide! 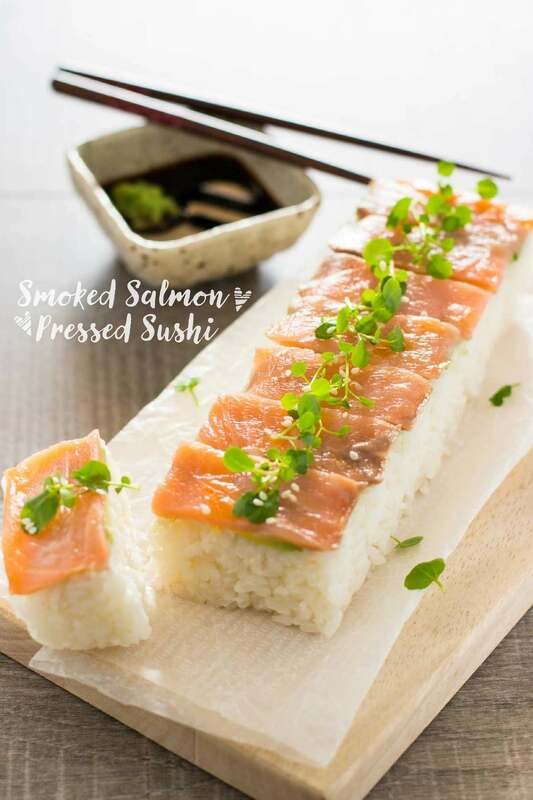 I’ve always thought that all these different types (sushicake, cupzushi, Chirashi) were nothing else than strange deviations from the “original” maki sushi. The only problem is that with all these details and photos, I’m starving now, and I’m at work! Long hours to dinner time await. Hi Estefania 😀 hehe. I am glad that you find useful information about sushi here. I have to update it soon as Sushi is always evolving. I can at leat name for a couple new sushi creation.